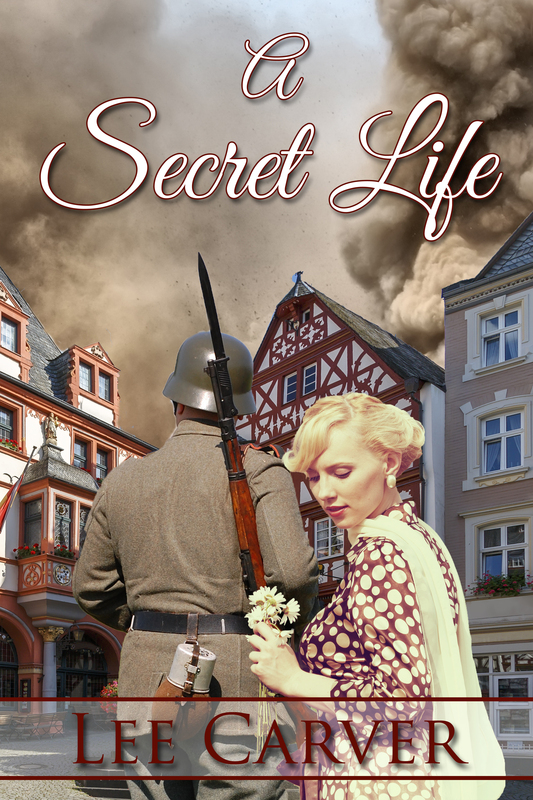 World War II novels are popular but A Secret Life, by Lee Carver, stands apart in the world of fiction. As war breaks out around them, Karl Von Steuben, fears for his family’s safety. With dual American/German citizenship and a secret Jewish heritage on his mother’s side, the Christian family finds their faith and lives in danger. Kidnapped and forced into the German army rips Karl away from his privileged life and any hope of escape. He could never shoot an American and looks for an opportunity to cross the lines of war, risking being caught as an enemy. When the opportunity arises, he assumes a dead American soldier’s identity and crawls to the Siegfried Line carrying with him the secret hiding place of gold ingots melted from the jewelry of death camp prisoners. A battle injury robs him for a time of his memory, real name and history. Eventually he gains awareness of the horrible truth but more secrets have to stay buried lest he be branded a war criminal in spite of the valuable aid he provides to the American side of the war effort. Eventually he is discharged and shipped to America under his assumed name. Alone in a foreign land, he rediscovers the faith of his past and the truth of God’s unmerited favor in a beautiful Atlanta nurse, Grace. The only problem is, Karl’s real name, identity and family fortune lies oversees in post-war Germany. Claiming them and owning the truth of who he is could give him the life he longs for with his new wife, but at the same time jeopardizes their marriage. Would Grace, and his adopted country, ever forgive him? The twists and turns of this complex tale also covers the story of Karl’s family and their struggle during the war. Historically grounded and well researched the characters and their struggles come to life on the page. The heart-rending truth of the horrors of war and the choices that have to be made are well told without being gory. It’s a beautifully told tale of love, faith and difficult choices.